It’s hard to believe I started Food Chick Tours only two years ago. In that time I have personally hosted more than 1,500 hungry, adventurous people and shown them just how creative and daringly delicious San Antonio’s food scene really is. 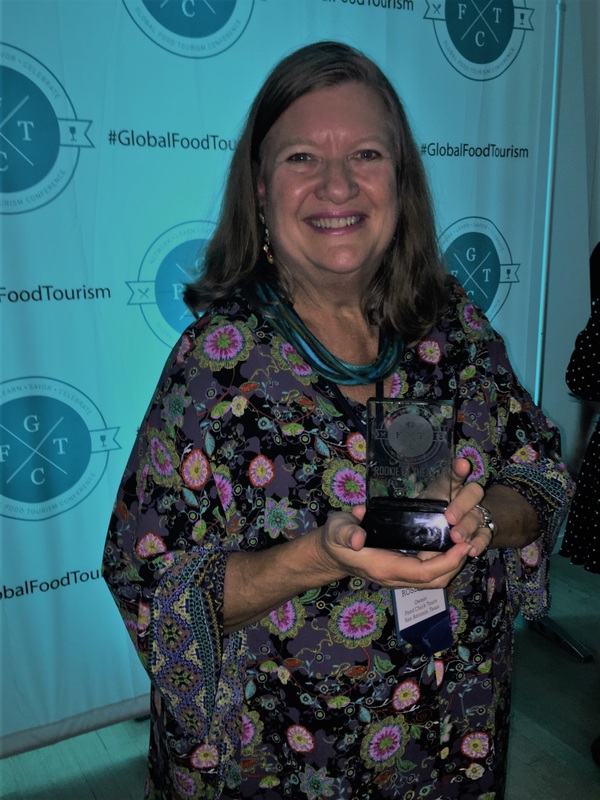 At the recent Global Food Tourism Conference in Montreal, the Global Food Tourism Association surprised me with the Rookie of the Year award. The award recognized my business growth and my focus on maintaining boutique, customized, small-group culinary tours of San Antonio. I am honored and deeply grateful to the chefs, bakers, restaurateurs, GMs, servers, bartenders, cooks, busboys, back-of-house administrators, artisinal food producers, farmers, ranchers, professional drivers and dishwashers who support every step of my San Antonio food tours. I am also grateful to Audrey Benadum, the “other chick” who helps me provide outstanding care to guests on large group food tours and special corporate events. I take pride in each custom food tour I create, and am thrilled that my guests enjoy themselves every time. If you haven’t taken a tour yet, come join me! If you have already taken a tour, please come back for another. No two food tours in San Antonio are the same when you join a Food Chick Tour. I guarantee it.